Writers On The Move: Do You Really Need an Author Website? The idea of creating an author or freelance writing website may seem overwhelming to many who are new to the writing arena. This may lead to a hesitation in regard to taking the website step. But, don’t let fear or procrastination get in the way of your online presence. A website is a necessary online marketing element that is at the foundation of your author platform. According to PCMag.com, there are 694,445 Google search queries made and 1,500 blog posts published each minute. The internet is the place for people to search globally for what they want or need. Having a website allows you to be in on that action. If you want to create visibility for you and your book or product, a website is the initial spark that will ignite your internet presence. And, it will be the hub or central location where you will let people know who you are and what you have to offer. To further cement the need for a website, it’s through your website that you will attract readers, get email subscribers, and sell your books and products. There’s really no way around the fact that you need to create your author platform, and it should be before you are ready to submit your manuscript, according to Chuck Sambuchino, in his book “Create Your Writer Platform.” The reason for this is that now having an author online presence and platform is a factor in whether a publishing house will say YES to your manuscript. 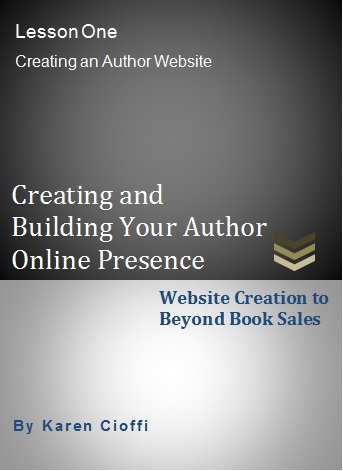 And, the first step in creating that author platform is to setup a website. It’s easy to see that a website is positively, absolutely necessary, and it’s not as difficult as you may think to create one. The first step is planning. As with any project you undertake, the first course of action should be to plan out your course of action. This is usually considered a business plan or writing plan. Your website is your online calling card or business card. It needs to be as professional as you can get it and needs to have all the necessary elements of an effective site. So, if you’re not familiar with websites, one of the first steps in your course of action should be to learn about all the elements needed to create an effective website. As an example, one of the first elements that you’ll need to work on is the domain name. Choosing a domain name is serious business. It needs to be searchable, convey what the site is about, and relate to you. It should be part of your platform, your brand. And, if at all possible, it should have your keyword in it. Other elements of an effective website include: optimization, specific pages, posting fresh content regularly, an opt-in, and a freebie. While a website is an absolute necessity, it also needs to be effective. The saying, “if you build it they will come,” doesn’t cut it in the internet world. Your site needs to attract visitors, be engaging / informative, be reader friendly, and convert. It needs to be planned out and optimized. There are hundreds of thousands of searches done every day and there are around 2,000 blog posts published every minute. In all that internet noise, how do you get noticed? How do you become someone's search results? How do you create an optimized online platform? Let me answer your questions and show you how in my next WOW! Women on Writing e-class on creating and building your author/writer online platform. I agree with you completely, Karen - almost everyone should have a website with a dedicated URL - it's very easy. 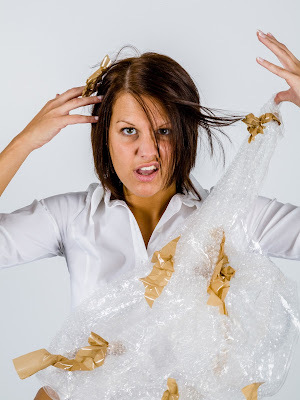 What I find harder is keeping the content fresh when I'm also using social media and blogging elsewhere - there's plenty of fresh content from me, but not at my main website. I do use a twitter feed that's always fresh, but suspect that it isn't enough since it's only a small sidebar. Maybe a blog feed at the top would work so there's always new posts from the blog. I'll have to play - but would love to hear more on how to link up all of our many 'presences' towards a unified message to our readers. It seems to me that the official website is a good place to do that. Maggie, anyone with more than one website has the same problem, keeping up with fresh content. Even for my blog, I use guest posts once a week, sometimes twice. Although, if at all possible, it's a good idea to write fresh content twice a week and get it on EzineArticle, and/or other article directories. The quality directories have tons of traffic, you can't beat it for visibility. And, it's an excellent idea to have a feed, usually from the social media you post to the most, going to your central site. You can even link your Twitter posts to Linkedin. I chose not to do this, because I want to control which content goes where. And, it takes less than a minute to post directly to Linkedin. If you use an article directory, you can link those posts to your site also. The ideal situation is to have your blog on the site you want to bring the traffic to. I started before really knowing how it all worked, so my blog is separate. If you're getting decent traffic, you don't want to tamper with it, although you could redirect the blog to your other site. Karen, If a writer writes in very different genres, do you recommend separate sites? Mary Jo, ideally the answer is yes, especially if the genres are very different, like children's books and romance/horror/etc. You want your sites to be focused. If a visitor has to take a few moments to figure out what your site is about, this causes 'visitor anxiety,' which is never a good thing. In online marketing it's recommended your site be easy to read, has clarity, and has simple and limited directives as to what you want the visitor to do. An author site can tell so much about what you are up too, and I have found several sites that are affordable for the beginning writer. Terri, you're absolutely right. 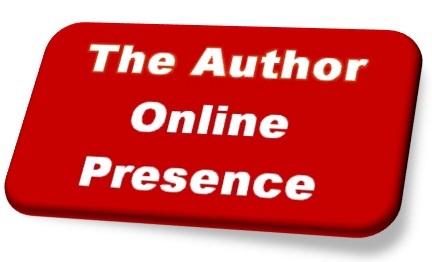 It's the author site that sets up the foundation of your online hub. And, the blog and media/events page are part of letting the visitor know what you're up to. I visit websites to find out about authors more often than I read their blogs.Blogs, no matter how interesting, take time to scan and read where a website presents the essentials far more quickly. Annie, all our time could be spent reading blogs - there's just so much information out there, it's a bit overwhelming trying to keep up with it. But, the author website is the perfect place to find out about the author, that's why the About and Media pages are so important. Loved the post and even read all the comments. Great stuff.